Online bachelors degree in business administration is arguably the most popular online degree. This is probably because the courses covered in the curriculum are applicable in most professions. There are very many institutions that offer online bachelor’s in business degrees. Students studying business can choose to focus on management or administration. Some of the concentrations offered under this degree are accounting, human resource management, marketing, finance, management of projects, international business and management of supply chains. Students acquire skills that will help them bring change in their work. They qualify for major roles such as sales representative, business services coordinator, procurement specialist, operations business analyst and project manager. Crown College is worth consideration if you are looking for a college with best value online bachelors in business administration. It’s a Christ-centered school where students learn principles from the bible that will mold their character and help with decision-making. Students who enroll into the program will need to take between 15 and 21 credit hours in Christian Studies, 31 credits in General Education, 40 credits in electives and 39 credits in the major. Under the major core, they will explore Business Research Methods, Principles of Accounting, Management Principles, Business Law, Concepts of Personal Finance, Strategy & Policy and Principles of Marketing. The program equips students with knowledge in marketing, finance, accounting and economics, which are important aspects in any business. With a Bachelor of Science degree in Business Administration, one can seek employment in Para-church or Nonprofit organizations, public and private corporations, retail, banks, sales organizations and insurance companies. Crown College offers financial aid making education accessible and affordable. It is accredited by the Higher Learning Commission (HLC). 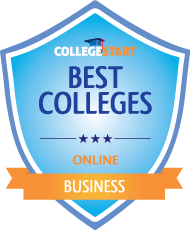 The University of Illinois Springfield is one of the best colleges for best value online bachelors in business administration. The degree offers two concentrations which are: BBA in Management and Business Administration Comprehensive. Depending on your education and career goals, advisors will help you prepare a plan that works for you. In the Management concentration, students learn interpersonal, conceptual and critical skills involved with leadership. It prepares them for management duties in businesses and organizations. They will cover courses such as Organization Theory, Leadership and Motivation, International Management, Human Resource Management and Negotiation. The Business Administration Comprehensive is suitable for students who wish to have a deeper knowledge and understanding of businesses. The courses offered focus on finance, operations management and marketing. Students are required to complete 15 credit hours in upper division, marketing, business, management and CBM. The Bachelor of Business Administration program is accredited by the Association to Advance Collegiate Schools of Business (AACSB) International. The Bachelor of Business Administration at Mount Vernon Nazarene University is available for individuals who’d wish to study online. The education offered through this program will prepare you with solutions for real-world challenges. You acquire management and leadership skills that’ll help you, whether you aspire to start your own business or advance your career. Students may choose to study for the BBA program alone, but it also offers 4 majors, giving them the opportunity to select one that’ll help them meet their career and education goals. These four are Finance, Human Resource Management, Management and Marketing. The BBA core requires for students to complete all 11 courses which explore accounting, finance, management and marketing in business. The curriculum combines these courses with others that will help you grow your biblical worldview, give you a global perspective, help with personal growth and improve your efficiency in research. The program is accredited by the Accreditation Council for Business Schools and Programs (ACBSP). Offered by the Amherst Isenberg School of Management, the University of Massachusetts has a Bachelor of Business Administration that is available completely online. It is designed for those with family and work commitments, to allow them to pursue their academic goals without attending class on campus. Students of this program can choose majors in: Finance, Accounting, Management, Operations and Information Management, and Marketing. Also, students can earn a Bachelor of Science degree in Hospitality and Tourism. The New England Association of Schools and Colleges has accredited the University of Massachusetts. Applicants to the program must have a minimum of 27 transferable credits to be eligible for admission. Tuition costs $525 per credit. Federal financial aid is available to online students upon matriculation. Management, International Business, Finance, Logistics and Supply Chain, Human Resource Management and Marketing are the majors that are available for students of the Bachelor of Business Administration degree program at the Florida International University. This program is available courtesy of the Landon undergraduate School of Business and is accredited by the Association to Advance Collegiate Schools of Business and is available to non-Florida students as well. The Landon School of Business was included as one of the best undergraduate business schools by Bloomberg Businessweek. However, tuition is different for resident and non-resident students. For Florida residents, the cost of tuition is $215.94 per credit hour while for non-residents it is $333 per credit hour. Financial aid and support includes grants, merit and need-based scholarships, federal and private loan funds and student employment opportunities. 6. University of Illinois – Springfield. The university of Illinois at Springfield offers an online Bachelor of Business Administration that is as rigorous as that taught in the classroom. This degree program includes a comprehensive option and a management concentration. The comprehensive option delivers a broad-based education through intense study of functional areas of business such as finance, operations management, marketing and management. The management concentration equips students with conceptual, critical and interpersonal skills required for business management. For both programs foundation courses in economics, advanced math, accountancy, statistics and behavioral science are required. To graduate, a minimum of 120 credit hours is required with at least 48 hours of upper-division work. Tuition per credit hour for resident students is $ 286.25 while for non-residents it is $ 598.25. The University of Illinois at Springfield is accredited by the Higher Learning Commission of the North Central Association of Colleges and Schools. The University of Iowa has been accredited by the Higher Learning Commission of The North Central Association of Colleges and Schools. The highly ranked Henry B. Tippie College of Business at this nationally acclaimed university offers an online Bachelor of Business Administration that allows students to accelerate their career. Taught by world-class faculty through a flexible and convenient online course, students gain a unique educational experience. One of the options is a Bachelor of Business Administration in Management that allows students to specialize in entrepreneurial management. This track challenges students to become entrepreneurial-minded with business planning skills, practical problem-solving skills and creative management tools that allow them to contribute to the management goals of their organizations. Students of this track become creative, innovative and are able to conjure effective and successful business strategies. This program is ranked among the top 25 undergraduate programs by the U.S News and World Report. The Association to Advance Collegiate Schools of Business has accredited the online Bachelor of Business Administration offered by the LeBow College of Business at Drexel University. The program provides a broad-based foundation in the study of business, developing knowledge and skills essential to today’s business environment. It has a dynamic and interactive online format that is delivered by internationally recognized business educators and is convenient and desirable for working professionals. The curriculum includes courses such as business communication, critical reasoning, international business, principles of microeconomics and career management. The program consists of 180 quarter credits. 24 college credits with a GPA of 2.5 are required as a prerequisite for admission. The tuition rate is $474 per credit and it applies only to newly matriculated students. Tuition reduction is offered for alumni and military students through a network of partner organizations. 9. The University of Wyoming. Coursework for the Bachelor of Business Administration at the University of Wyoming is designed to give students a thorough and well-rounded educational experience to enable them to become high-level business experts. Students are limited to four online business courses. Some of the majors available are as follows: Business Economics, Business Administration, Marketing, Finance, Business Administration, Economics, Management and an undecided major. To ensure well-grounded scholars, areas such as science, writing, quantitative reasoning and cultural context are emphasized. Students take core and elective courses in their major that are specifically designed to give them the tools they need to become successful in their fields. The University of Wyoming has been accredited by the Higher Learning Commission of the North Central Association of Colleges and Schools. Its College of Business is accredited by the Association to Advance Collegiate Schools of Business. Tuition costs $326 per credit hour for residents and $1042 per credit hour for non-residents. At Regis University, the Bachelor of Science in Business Administration has six specializations: Human Resource Management, Public Administration, Finance, Marketing, Flexible Specialization and Double Specialization. Through this program, that is offered entirely online, students have the flexibility to study while balancing professional and personal responsibilities. Students learn the current business trends and review the theory and skills necessary for success in the global business market. The program includes 128 credit hours. Tuition costs $460 per credit hour. Regis University is accredited by the Higher Learning Commission of the North Central Association of Colleges and Schools. Brenau University is ranked #11 among the best online Bachelor of Business Administration degree programs by ‘thebestschools’. This degree program is specifically designed to offer students, broad-based and solid foundations in all the functional areas of business. Students take six electives of their choice in addition to the core courses. These elective courses can be spread out over all the areas of business. Alternatively, they may be concentrated in one area. Tuition costs $594 per credit hour with various financial aid options available. The Bachelor of Business Administration degree program at LeTour University is available completely online, flexible and well-rounded, offering the necessary knowledge-base that allows students to develop business leadership skills. Some of the classes students take include: Strategic Management, Principles of Economics, Project Management and Business Ethics. Students learn to efficiently gather and analyze information vital to creating long-term and short-term business plans, and to use the necessary marketing tools required to meet an organizations objectives. This business program is accredited by the International Assembly for Collegiate Business Education. Potential career paths are as follows: Office Manager, Human Resources Manager, Administrative Assistant, Project Manager, Operations Manager, Executive Assistant, Account Manager and Financial Analyst. The University of Houston-Victoria School of Business offers an online Bachelor of Business Administration with a specialization in Management. It explores topics such as: human resource management, organizational behavior, global issues, business ethics, strategic management and change management. These courses expose students to administrative and managerial roles and responsibilities, and prepares them for business leadership. Both the theoretical and practical aspects of business are given equal emphasis to ensure that students are equipped to take over managerial responsibilities immediately upon graduation. Tuition costs $172.95 per credit hour. Financial aid is also available, and priority is given to the earliest applicants due to the limited amount of financial aid available. Saint Leo University is an online leader in online education, with accreditation from the Commission on Colleges of the Southern Association of Colleges and Schools. It’s School of Business is accredited by the International Assembly for Collegiate Business Education. It offers an online Bachelor of Arts in Business Administration in Management, that is specifically designed for students who want to own or manage organizations. Topics explored by the curriculum include: International business, Essential Business Skills, Entrepreneurship, Strategic Management, Organizational behaviors and Development, Management of Human resources, Labor relations and Business government and Society. General business principles such as marketing, accounting, business law and economics will also be studied. Leadership skills are also emphasized, in addition to the analytical tools and technologies required to solve today’s business problems. Tuition costs $470 per credit hour for civilians and $250 per credit hour for military students. 15. Fort Hays State University. The Fort Hays State University is fully accredited by the Higher Learning Commission of the North Central Association of Colleges and Schools. The online Bachelor of Administration in Management degree program offered at Fort Hays State University develops the analytical and leadership skills required for excellence in today’s business environment. The program includes a total of 124 credit hours, with 55 of these being general education courses. Students can pick minors in Business Administration, Marketing, Leadership skills and Entrepreneurship. Tuition costs $194.14 per credit hour. Columbia College is accredited by the Higher Learning Commission of the North Central Association of Colleges and Schools. This college offers a Bachelor of Arts and a Bachelor of Science in Business Administration. Students may elect majors in accounting, finance, entrepreneurship, human resource management, healthcare management, international business, marketing, management, advertising, public relations and sports management. This program prepares students for entry-level positions in business. Students are also encouraged to pay attention to the liberal arts and sciences in order to appreciate the social and cultural environment in which business is transacted. The program includes 120 semester hours. Tuition per credit hour is $275. Post University offers an online Bachelor of Science in Business Administration that is offered by the Malcolm Bridge School of Business and delivered by faculty with extensive experience in the business world. Students pursuing this degree may choose to specialize in the following areas: Accounting, Equine Business Management, Computer Information Systems, Finance, Entrepreneurship, Finance, Marketing and International Business. Students of this program are encouraged to take advantage of numerous internship opportunities available through institutional partners. Students gain the leadership and business skills required to manage information, resources and people in a dynamic business environment. Post University is accredited by the Commission on Institutions of Higher Education News England Association of Schools and Colleges. Its business programs have been accredited by the Accreditation Council for Business Schools and Programs. The Grand Canyon university is regionally accredited by the Higher Learning Commission of the North Central Association of Colleges and Schools. The university offers a new and innovative business degree called a Bachelor of Science of Business Administration in Business Intelligence that is offered 100% online. This program covers topics such as innovation, business skills, servant leadership and entrepreneurial spirit. finance, management, operations, accounting, marketing and human resources. Students thus gain broad-based skills, and functional knowledge, that are relevant to a successful career in business. They become ideally suited to find practical solutions to global business problems. 19. University of Maryland University College. The Business Administration Bachelors degree at University of Maryland University College builds in students a thorough understanding of: principles of corporate governance, development of vision and mission statements, evaluation of the success of selected strategies and analysis of workforce opportunities and strengths. It is a career-focused degree program that builds a comprehensive base of business knowledge. Students study topics such as accounting, ethics, business law and social responsibility, human resource management, finance, marketing and sales, statistical analysis and organizational behavior. The curriculum is designed with input from industry experts, employers and scholars. Tuition costs $332.66 per credit for Maryland residents. Moreover, special lower rates are available for graduates of the Maryland Community College, military service members and their spouses. Out-of-state students pay a higher fee of $499 per credit. Walden University business programs are accredited by the Accreditation Council for Business Schools and Programs. The online Bachelor of Business Administration degree program at Walden University takes a practical approach to academic theory. It offers concentrations in accounting, finance, human resource management, information systems, international business, management, marketing, international business, small business management and self-designed. This program is specifically designed to help students get ahead in today’s dynamic business climate and to equip them with the knowledge, capabilities and credentials necessary to advance in their business career. The University of Connecticut offers various online programs in business and accounting. Moreover, it is ranked #3 among the Best Online Accounting Programs by the U.S News and World Report and has been recognized for the best practices in online learning by the United States Distance Learning Association. Some of the programs offered include a Master of Science in Accounting and graduate level certificates in accounting. These programs explore topics such as tax, auditing, forensic accounting and information systems. Tuition costs $752 per credit hour and financial aid is available to students. Auburn University offers online business programs such as an online accounting bridge, a Bachelor of Science in Accounting, a Graduate Certificate in Accounting, a Master of Accounting, a Master of Business Administration and a Master of Science in Financing, all through its Harbert College of Business. All its programs are accredited by the Association to Advance Collegiate Schools of Business. It is ranked among the top online programs by the U.S News and World Report and its online master of accountancy program is ranked #5 by the Accounting Degree Review. Tuition costs $805 per semester credit hour and doesn’t depend on the student’s geographical location. The California State University is ranked highly among the best online graduate business programs by the U.S News and World Report. Its business programs are affordable, flexible and student-focused. It offers degrees such as a Bachelor’s in Business and Management, and a Master’s in Business and Management. Specific concentrations include Agricultural Business, Supply Chain Logistics and Accounting. Students have access to the student service center that provides full-time advisors. Tuition costs $13,782 for an entire course. Financial aid is available and includes grants and scholarships with special veteran benefits for military students. The Colorado State University is ranked among the Best Online Graduate Programs for Business by the U.S News and World Report. It is also accredited by the Associate to Advance Collegiate Schools of Business. It offers a professional Master of Business Administration fully online. In addition, it offers six online graduate business certificates in Accounting and ethics, Forensic accounting and Fraud auditing. Tuition costs $918 per credit hour. Military students are eligible for a 10% tuition reduction discount. The university of Alabama is accredited by the Association to Advance Collegiate Schools of Business. It offers flexible online programs that include a Bachelor of Science in Commerce and Business Administration, a Master of Arts in Global Business Management, a Master of Science in Marketing with a specialization in Marketing Analytics and a Master of Science in Operations Management. Tuition costs $333 per credit hour for undergraduate programs and $354 per credit hour for graduate programs for in-state students. For out-of-state students, tuition costs $916 per credit hour for undergraduate programs and $1000 per credit hour for graduate programs. Financial aid and scholarships are available to help students defray the cost of courses. 26. University of North Dakota. The University of North Dakota is ranked #32 by the U.S News and World Report for the Best Online Graduate Programs. It is accredited by the Association to Advance Collegiate Schools of Business. It offers an Online Master of Business Administration with areas of interest in Corporate Finance, Healthcare Administration, Economics, Investments, Human Resource Management, Sports Marketing, Real Estate and Public Administration, and Management Science. Students have access to student support services such as online tutoring, advising, library and tech support. Tuition costs $342.72 per credit. The Florida State University has consistently ranked among the top Business Schools by the U.S News and World Report. It offers affordable and flexible online programs. Some of its business programs include an online Master of Business Administration and an Online Master of Science in Management Information Systems, Risk Management and Insurance. It also offers an online Business Professional Specialization. Tuition costs $479.32 per credit hour for Florida residents and $1,110.72 per credit hour for non residents. Students are encouraged to apply for financial aid. The Michigan State University offers online business programs through its Eli Broad College of Business. Its business programs are ranked among the top by the U.S News and World Report. Its online degree programs include the Master of Science in Management, Strategy and Leadership. Areas of study include Human Resource Management, Strategy, Decision Making, Leadership and Team Management. It also offers online Master’s certificates in areas such as Supply Chain Management. Tuition costs $990 per credit. The Mississippi State University offers fully online distance programs such as a Master of Business Administration and Master of Science in Information Systems. Its programs receive combined accreditation from the AACSB and SACS and it is ranked among the top MBA programs by the U.S News and World Report. Online students have access to student support services that include Disability Student Services. Tuition costs $392 per credit hour. Special military benefits exist for military students and the school has been selected as the ‘Best for Vets’ college by The Edge. The Portland State University receives accreditation for its business programs from the Association to Advance Collegiate Schools of Business. It offers flexible and convenient business programs fully online. It offers programs at the certificate, undergraduate and graduate level. It offers an online certificate in Social Entrepreneurship and an online Master’s degree in Global Supply Chain Management. Program concentrations include Supply and Logistics Management, Management and Leadership, Finance, General Management, Entrepreneurship, Marketing and Leadership. Tuition costs $580 per credit hour for in-state students. This cost rises to $699 per credit for students who are not residents. The Oklahoma State University offers online business programs through its Spears School of Business. Programs offered include a Bachelor of Science in Business Administration, a Master of Entrepreneurship, a Master of Business Administration, a Master of Science in Management Information Systems, a Master of Science in Telecommunication Management, and a Master of Business Administration and Master of Science in Telecommunication Management – dual degree. It also offers a graduate certificate in Business Data Mining. All its business programs are accredited by the Association to Advance Collegiate Schools of Business. Online students have access to student support services such as academic advising, career placement and an online library. Tuition costs $187 per credit for in-state residents and $765 per credit for out of state students. Financial aid is available and special military benefits exist for military students. The Villanova State University is a private university that offers its business programs 100% fully online. It is ranked among the top online business programs by the U.S News and World Report and receives its accreditation from the Association to Advance Collegiate Schools of Business. Its degree programs include the Master of Science in Human Resource Development among other degree programs and online certificates. Tuition costs $900 per credit with the availability of financial aid that includes grants and scholarships. This institution offers its online business programs at the W.P. Carey School of Business that has an estimated 1,800 graduate students. The school has enrolled 136 fulltime students and 273 part-time students in its business school. A variety of business concentrations are on offer including healthcare administration, accounting, international business, accounting, general management, marketing, finance, technology, real estate, entrepreneurship, leadership, tax, management information and logistics. The tuition fee for full-time instate students and full-time out-of-state students is $25,610 and $41,044 respectively. Part-time students pay a fee of $25,860. Pennsylvania state university is a public institution that offers its online business programs through its World Campus. The business programs have been accredited by the Association to Advance Collegiate Schools of Business. The school was recently ranked 7th in online business programs by the US News and World Report. Business programs have a total of at least 48 credits. The program focuses on six key fields which include leadership, strategic planning, human resources, process management, human resources, customers and markets and information analysis. The school offers the services of academic advisors and career placement assistance. Online students have access to digitized library materials and a live librarian as well as 24/7 tech live support available to its students. All queries are responded to within 24 hours. The cost per credit is $1,096 per credit for all students. This private institution has been ranked ninth on the Best Online Graduate Business Programs list. The online business programs have been accredited by the Association to Advance Collegiate Schools of Business, EPAS and PMI. The programs have concentrations in fields such as insurance management, banking services management, financial services management, project management, international marketing management and human resource management. The total credit hours are thirty-six. The school was established in 1885. It has enrolled 31,670 undergraduate students. It has a college of management which offers concentrations in fields such as marketing, entrepreneurship, finance, management information systems and healthcare administration. The tuition fee for in-state students is $10,581 and out-of-state students pay $28,379. This is a public institution located in Springfield. It has been accredited by the AACSB. It has four colleges: public affairs and administration, business and management, education and human services, and business and management. It offers graduate programs that deal with fields such as biology, environmental studies, communication, public administration and computer science. The minimum number of credits per student is thirty six and the minimum time commitment is 24 months. Portland State University offers a 72-credit online Bachelor’s degree in business program that includes the option of two concentrations: a concentration in management and leadership or in Supply and Logistics Management. Both programs are accredited by the Association to Advance Collegiate Schools of Business. The Management and Leadership option provides students with the required knowledge and skill-sets to adequately respond to managerial challenges. Through this program, students gain an understanding of the basics of the business environment and the fundamentals of organizational behavior. In addition to that, the core-curriculum prepares students for hands-on leadership using practical skills that can be applied immediately to professional roles. The Supply and Logistics concentration is an ISM-certified program that teaches students to drive product design, anticipate demand and bring products to market using the best supply chain practices. The curriculum places focus on the development of a sustainable supply chain that nds with the production and delivery of a sound product or service to customers. Tuition per term is $1,307 for residents and $4,032 for non-residents. The West Texas A&M University offers a Bachelor of Business Administration degree that is delivered through online instruction by a world-class faculty. It includes majors in areas such as: Management, General Business, Marketing, or Law and Economics. The College of Business at this university is accredited by the prestigious Association to Advance Collegiate Schools of Business. The Management concentration challenges students to improve their communication skills, resolve conflicts and to become effective leaders. Students receive training in finance and accounting to enable them to handle resources and ensure that everyone is sufficiently equipped in order to get their jobs done. Lastly, students learn to manage their time wisely. Some of the prerequisites include: mathematics, logic and reasoning, and communication skills. Tuition costs $440 per semester hour. It offers an online Bachelor of Science in Business Administration degree program with a major in Entrepreneurship. This program provides its graduates with the skills required to think creatively, successfully launch businesses, and to support growing businesses. The program takes 120 semester hours. It trains students on how to think critically, test the viability of new ideas, create value for business owners and customers, to successfully launch a new venture, and to run such ventures once they have been successfully established. By integrating an innovative curriculum in entrepreneurship with a traditional core business curriculum, students become skilled in all functional areas of business, as well as in setting up their own businesses. Tuition per semester hour is $147.77 for in-state students and $498.88 for out-of-state students. For military students the rate is $250 per semester hour. The Green Mountain College offers a unique approach to business that aims to empower students with adequate knowledge to allow them to make a positive difference. Green Mountain College has an online degree completion program that places due emphasis on the foundational areas of business such as accounting, economics, leadership, statistics, and marketing. It is a 30-credit program that comprises of 10 courses. It exposes students to the newest global business practices in entrepreneurship and sustainability. The College has available a 15-credit, Self-Design concentration that allows students to personalize their studies. Students are allowed to transfer credits in either Economics or Business to satisfy the 15-credit. Tuition for the program costs $350 per credit hour. Students are encouraged to take advantage of the many financial assistance programs that include grants, loans and scholarships. Green Mountain College receives accreditation from the Commission on Institutions of Higher Education of the New England Association of Schools and Colleges. The online Bachelor of Business Administration offered by the Warner Pacific College offers a comprehensive approach to studying business and provides students with a solid foundation in business skills. It is a two-year program that consists of 14 courses. Each course lasts 5 weeks. These courses equip students with a versatile set of skills in fundamental areas such as Marketing and Accounting. Tuition costs $600 per credit hour.